← How Can Recent Health Care Reforms Benefit You? 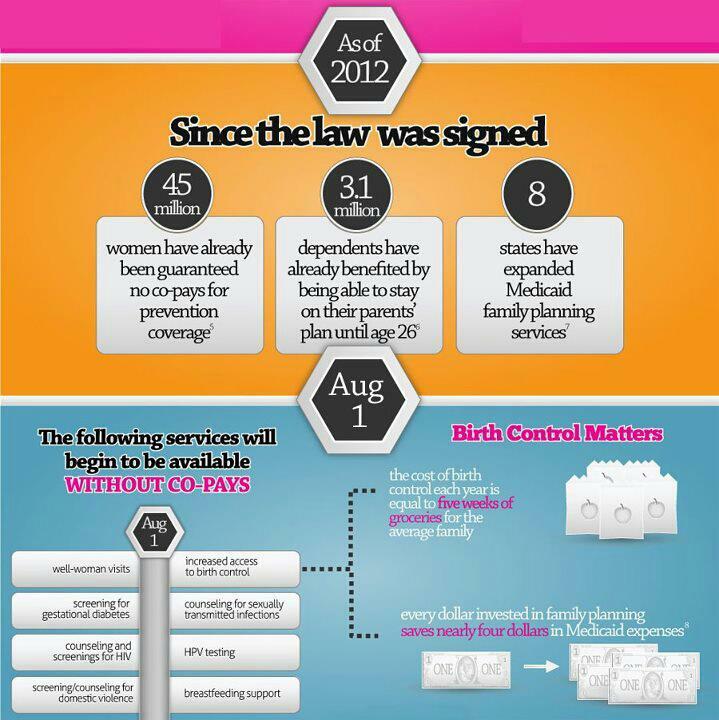 If You Have a Uterus and Health Insurance, President’s Obama’s Reform Law Effects You! Too often, they [women] have gone without preventive services, worrying about what even a $20 insurance copay would mean to their families’ budgets and choosing to pay for groceries or rent instead. But now, thanks to the health care law, many women won’t have to make that choice. There are, of course, limitations. The law does not do apply to the 16% of women under 60, mainly young adults and women of color, with no health insurance. It also does not use language that acknowledges individuals who do not identify as women (trans men, genderqueer folks, etc.) but can get pregnant; these individuals can be denied insurance and certain coverage based on their gender identity. With all this aside, however, the legislation pushes our country strides ahead and sets a productive and positive tone in the national dialogue about reproductive health care. Even better than that, it sets a precedent for future health care reforms. If you have health insurance and want to know if it falls under the reform law, visit the helpful guide created by the National Women’s Law Center. The guide includes information on who you should call, as well as a script with context-specific questions. NWLC also provides guides specifically for students. Make sure that you know what your law-given rights are so that you can ensure they are being carried out. 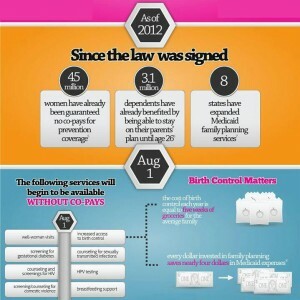 This entry was posted in National News and tagged #health, #reform, #reproductive health, #women. Bookmark the permalink. 4 Responses to If You Have a Uterus and Health Insurance, President’s Obama’s Reform Law Effects You! What does this law do for women 50+ with no health insurance? This is a great question. The law primarily effects people who currently have health insurance. Under Obama’s health care reform, soon all U.S. Citizens will have access to (hopefully) affordable health care. So, until then, for people without health care this law doesn’t do a whole lot in the immediate future. It does, however, set the bar for all health care rulings in the future that deal with women’s health. For women over 50 that do have health care, this gives them access to things like free yearly checkups and cancer screenings. I’m not an expert on the law, so you may want to check with your doctor for more information. Good resources on the web to start with include http://nwhn.org/ (The National Women’s Health Network – they do a lot of advocacy work) and http://www.womenshealth.gov. Because I’m not an expert on health care, I suggest you call your insurance company to find out more. A good starting place on the web is http://www.womenshealth.gov/.